RIYADH: The Saudi Press Agency (SPA) reported on Saturday that seven cases of H5N8 avian flu had been recorded in the country in the previous 24 hours, five in Riyadh, one in Qassim and one in Tarout Island. Field teams in Kharj and Dharma provinces have instigated a cull of infected birds on two poultry farms — with 813 birds safely disposed of in Dharma — while an overall emergency plan is being implemented to clear the infected areas. In Ahsa province, teams finalized measures to safely cull 1,325 birds on a number of farms where the H5N8 virus was detected. In Qassim, 800 birds were euthanized. Veterinary teams from the Ministry of Environment, Water and Agriculture conducted 25 inspections of markets and bird-breeding farms across the Kingdom in the 24 hours before the SPA report. The ministry has banned all poultry farms, transport firms and bird breeders from transporting birds between different regions of the Kingdom without obtaining the necessary licenses. It also asked bird breeders in the Kingdom to avoid purchasing live birds from unknown sources, and taking their birds to unauthorized markets, in order to minimize the spread of the H5N8 avian flu. The director of Animal Resources Services, Dr. Ibrahim Qasim, said 358,134 birds infected with the H5N8 virus have been destroyed across the Kingdom as of Friday. Speaking to Al-Riyadh daily, he said all reported cases outside Riyadh region originated from private fenced yards and traditional farms, while some cases were reported at three poultry projects in the Riyadh region. 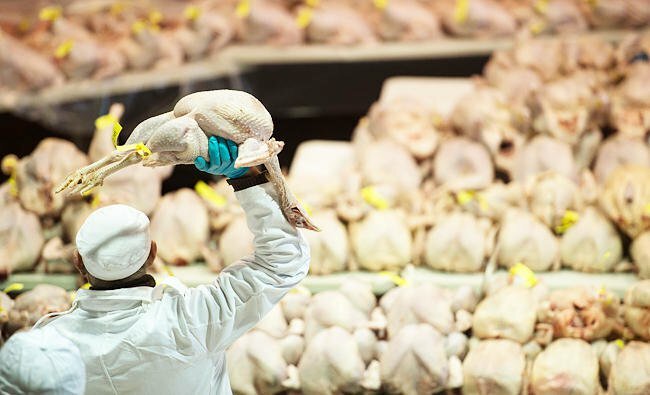 Dr. Abdullah Kadman, a member of the board of directors at the Saudi Poultry Producers Association, said the ministry’s ban on transporting birds between regions is expected to be lifted within two weeks. Head of the National Committee for Poultry Producers, Jamal Al-Sadoun, has requested strict compliance with the ministry’s instructions on the transfer of birds between regions to curb the spread of the disease. He confirmed that the infections were centered in the Riyadh region, specifically Dharma, Muzahmiyah and Hiraimla. A reported 850 samples have been sent to the Riyadh-based Veterinary Diagnosis Laboratory since the latest outbreak of the disease, some based on reports from citizens, and some randomly collected from infected areas.